French physician; flourished at Cavaillon in the second half of the fourteenth century; identified by Steinschneider with Todros of Cavaillon. 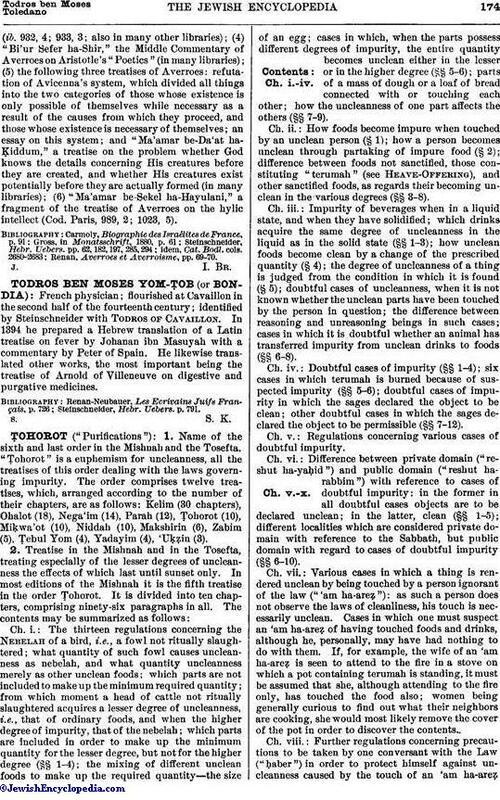 In 1394 he prepared a Hebrew translation of a Latin treatise on fever by Johanan ibn Masuyah with a commentary by Peter of Spain. He likewise translated other works, the most important being the treatise of Arnold of Villeneuve on digestive and purgative medicines. Steinschneider, Hebr. Uebers. p. 791.